BRANDON, Man. 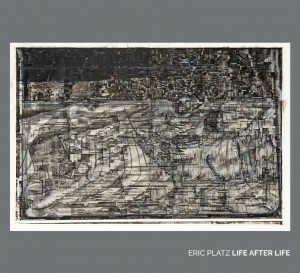 – A veteran performer with more than 20 recording credits to his name, Brandon University (BU) School of Music professor Eric Platz makes his debut as a composer and leader today with the CD and digital release of his new work, Life After Life, on the Allos Documents label. 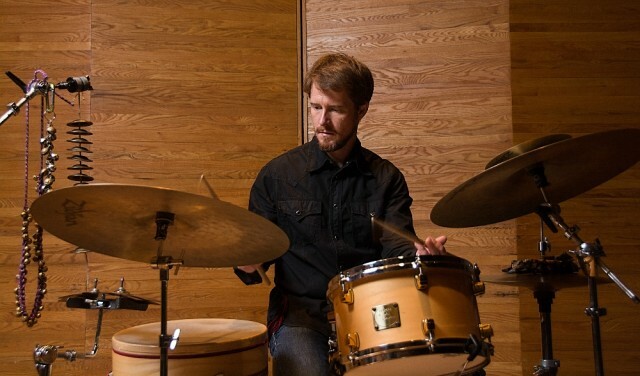 Platz, a percussionist, was joined by fellow School of Music colleague Leanne Zacharias on cello and Chicago-based clarinetist James Falzone for the recording, which combines elements of free jazz and North African folk music with vast post-minimalist landscapes. “I was very excited to have the opportunity to bring James, a longtime collaborator of mine, up to Manitoba to connect with Leanne and other colleagues in our community,” Platz said. Having shared the stage with artists such Lucinda Williams, Joe Lovano and Bill Frisell, Platz blends a wide variety of influences into his music. For Life After Life, he drew inspiration from literature – the album was named after a Kate Atkinson novel – and nature to compose songs that explore themes of doubt, reincarnation, spirituality, and violence. 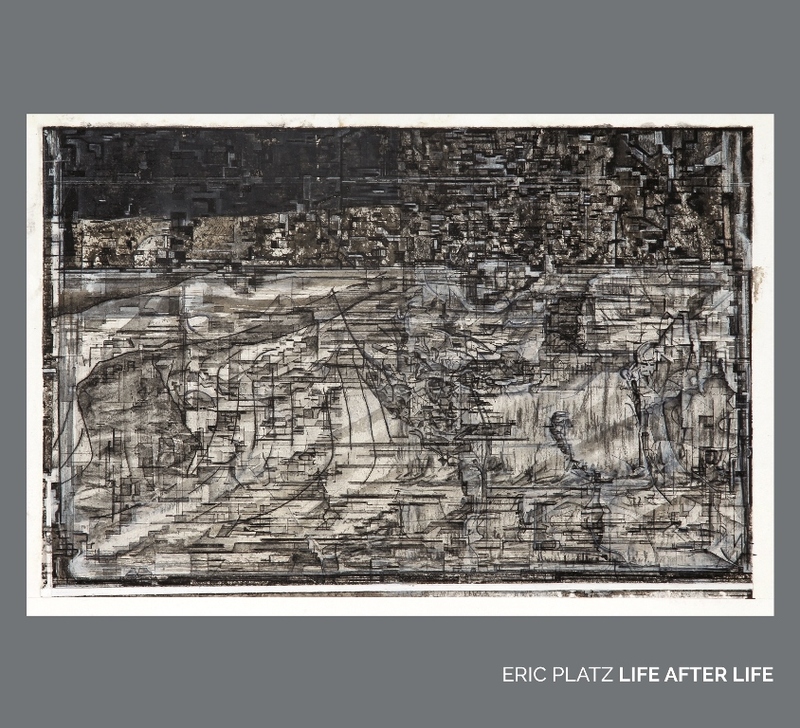 The cover art for Life After Life is palimpsest II, by Ben Davis of BU’s Visual and Aboriginal Art Department. Despite its global leanings, Life after Life remains very connected to its Manitoba roots. With the assistance of a BU Research Committee grant, the album was recorded in Roseisle, Man., in the straw-bale studio of recording engineer Don Benedictson, who also contributes by playing electric bass. The cover art, palimpsest II, is the work of BU Visual and Aboriginal Art Professor Ben Davis. The musicians will mark the release with a short performance tour next week, including a Brandon Chamber Players Concert Series show at Lady of the Lake on Tuesday, Feb. 9. Life After Life is available digitally at the Bandcamp and iTunes websites. CDs can be ordered through allosmusica.org/allosdocuments. The promotion will continue into the spring, as Platz will be featured in prominent jazz magazine DownBeat in April.